Valrhona has been producing the finest chocolate in the world in France since 1922. From the beginning of this journey, the company founder and Pastry Chef was dedicated to the creation of unique, top quality chocolate with complex, balanced and consistent flavours. Today, the leading Pastry Chefs and discerning gourmets rely on Valrhona’s expertise to experience the best that the chocolate can be. 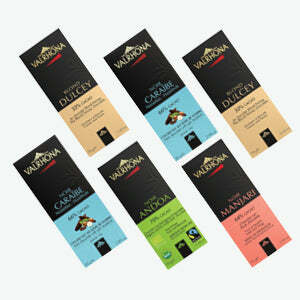 Explore the top quality chocolate.